I've been in a bit of a reading slump, as some would call it, of late. I've devoured graphic novel after graphic novel but I haven't really had the patience for novels for a long long while. I think I might take my own advice r:e how to get out of a reading slump and read some short stories first. Revolutionary Road is the story of Frank and April Wheeler, a bright young couple who are bored by the banalities of suburban life and long to be extraordinary. I have had a few of Yates' books on my 'to buy' list for years so I swiftly wrestled an old woman out of the way to nab this copy when I saw it nestled away in a dark corner. Yates is one of those authors that is renowned for their incredible character development, or so I've gathered, and I'm looking forward to meeting the Wheelers for the first time. I'm not exactly jumping for joy at this cover, compared to the Vintage Classics one, but it's what's inside that counts and for a mere quid I'm not going to complain...much! One fateful night, Tristan promises his beloved that he will retrieve a fallen star from her from beyond the Wall that stands between their rural English town (called, appropriately, Wall) and the Faerie realm. No one ever ventures beyond the Wall except to attend an enchanted flea market that is held every nine years [...] But Tristan bravely sets out to fetch the fallen star and thus win the hand of his love. I have read 3 and a bit books by Gaiman so far and I have had mixed reactions. I really liked Neverwhere, didn't like Ocean At The End of the Lane, liked Coraline and so far Smoke and Mirrors has been alright. However, I'm a sucker for anything Victorian and I love me a weird ominous wall (niche interests, granted) so I'm hoping this will be another one that I get along with! I read around thirty or so pages of it on the train the other week and liked it so I'm feeling hopeful. I found this copy for £1 in a charity shop closing down sale. 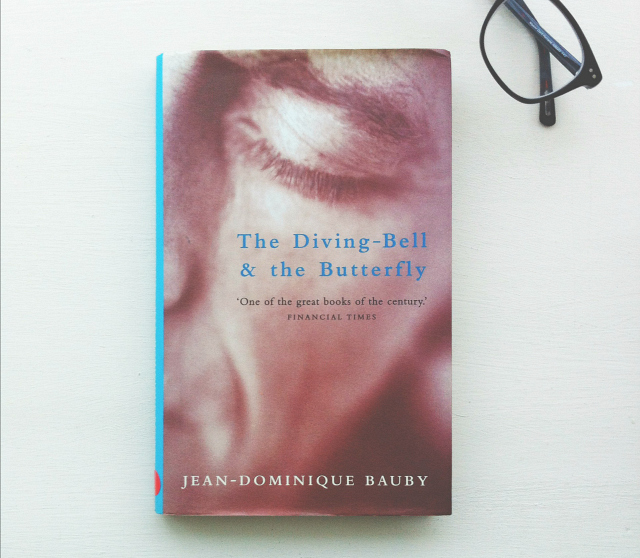 The Diving-bell has been on my radar for a long time, but it has always been a book that I resigned to finding in a charity shop for cheap. Thankfully, the bookish Gods granted my wish and I found this in the kids section (!!!) of one of the local charity shops for just 75p. I read it as soon as I got home, naturally. As someone with an illness, I always take comfort in the experiences of others where their own illness is concerned and, in particular, the dark sense of humour that often comes with being on the receiving end of a chronic or debilitating diagnosis. Bauby shared his own beautifully. It was moving, funny and wonderfully honest. I'll review it soon, I'm sure. This is the tale of the magically gifted young man who grows to be the most notorious wizard his world has ever seen. The intimate narrative of his childhood in a troupe of travelling players, his years spent as a near-feral orphan in a crime-ridden city, his daringly brazen yet successful bid to enter a legendary school of magic, and his life as a fugitive after the murder of a king form a gripping coming-of-age story. I have already discussed this book a little in my Organising Your Holiday Reads post, explaining that I don't usually read anything from the Fantasy genre and yet I'm really excited to pick this up. I found it for £1 in my local charity shop and I'm hoping it'll fill the fantastical void that Game of Thrones will soon leave once the season is up. It is 1866, and young Walter Moody has come to make his fortune upon the NZ goldfields. On the stormy night of his arrival, he stumbles across a tense gathering of twelve local men who have met in secret to discuss a series of unexplained events [...] Moody is soon drawn into the mystery: a network of fates and fortunes that is as complex and exquisitely ornate as the night sky. Big books intimidate me. There. I said it. This beautiful copy was in pristine unread condition for a mere pound, and I'm pretty sure that heavily influenced my purchase. This tome is bloody huge but I'm hoping it is going to be one of those stories that just captivates me from the off. If the opinions of my friends on Goodreads are anything to go by, I should really enjoy it. Brideshead Revisited tells the story of Charles Ryder's infatuation with the Marchmains and the rapidly-disappearing world of privilege they inhabit. Enchanted first by Sebastian at Oxford, then by his doomed Catholic family, in partiular his remote sister, Julia, Charles comes finally to recognise only his spiritual and social distance from them. My local secondhand book shop had an influx of beautiful old pastel modern classics in so I decided to pick a few up for my expanding collection. 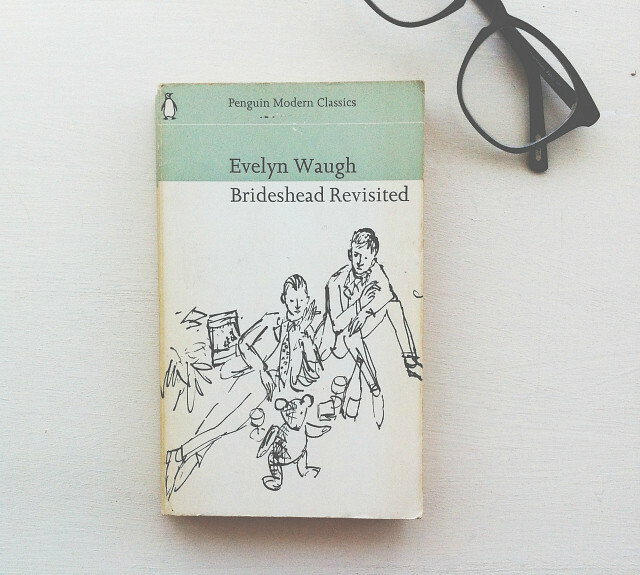 Brideshead Revisited is, again, one of those books that has been sat on my Goodreads 'to buy' shelf for quite a long time so I was happy to find this tucked away on the shelf. I've now got quite the unread Waugh collection, as I also own A Handful of Dust and The Loved One. I think I'm going to start with the latter as it's a novella and it sounds right up my street! Tracing the lives of a group of friends, The Waves follows their development from childhood to youth and middle age. Separately and together, they query the relationship of past and present, and the meaning of life itself. I have no idea who recommended this book to me, if they did at all, but I stumbled across this copy for £1 and decided to make it mine. I honestly have no real expectations here, I'm just more looking forward to reading some more translated fiction. 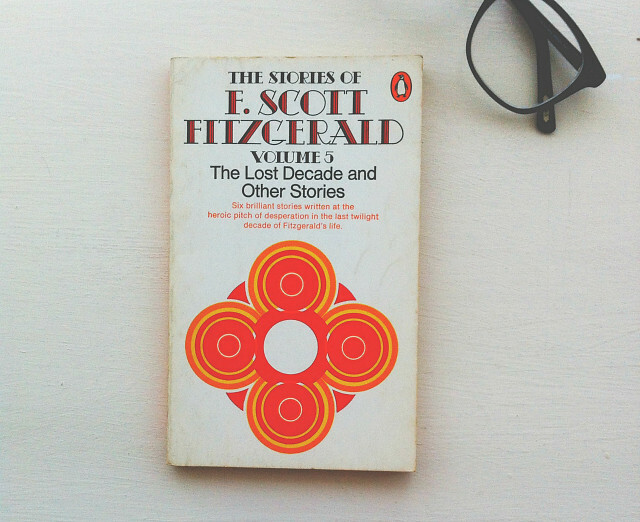 A collection of F. Scott Fitzgerald's stories from towards the end of his life. The Great Gatsby is an absolute masterpiece and one of the most incredible novels ever written, and yet I still haven't read anything else by F. Scott Fitzgerald. Whilst this little collection of stories written later on in his life probably isn't the second thing you should read by him, I'm glad that it is in my possession. 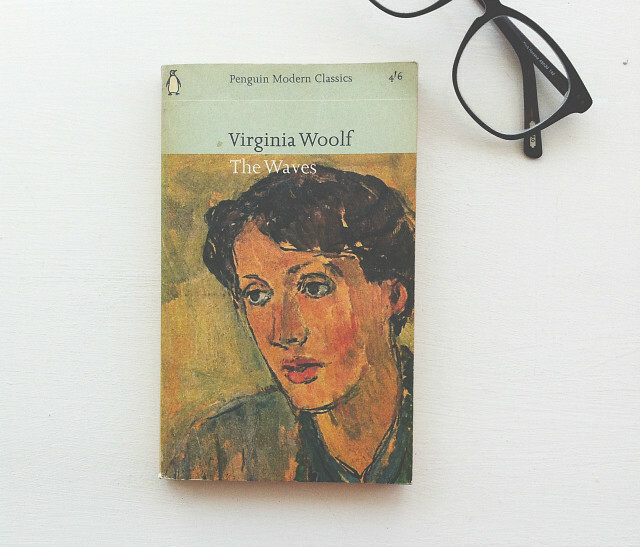 There's something really beautiful about that cover and I'm pretty sure this book is no longer in print, at least not widely, so it was a happy little £1 purchase for me. 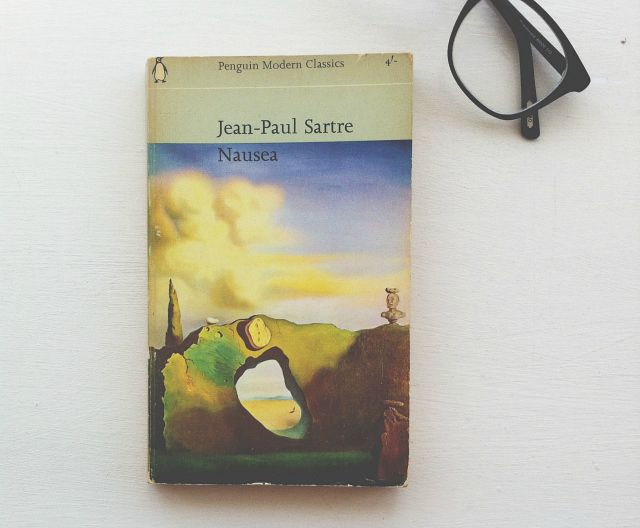 Wow, so many wonderful bookish second hand finds, this month. I really want to read Revolutionary Road. I'm constantly buying books from charity shops and then getting home and not finding space for them! I'm also a huge sucker for nice covers! 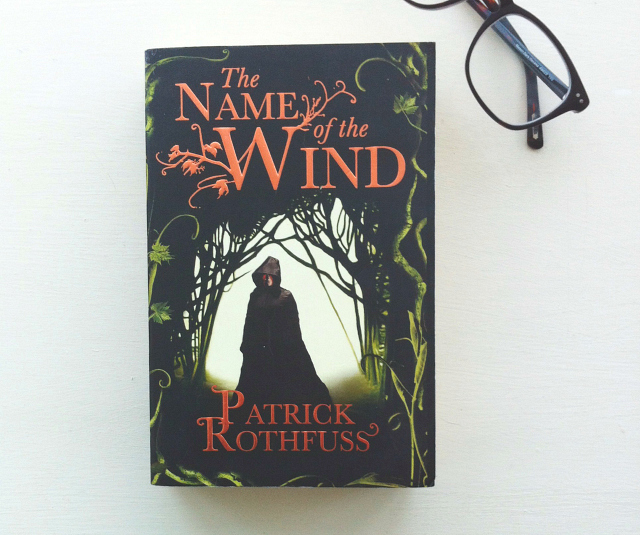 I bought The Name of The Wind for my boyfriend's birthday last October and he loved it so much he asked for the second one for Christmas. He never normally has any answers when I ask 'oh what would you like' so that's a big deal! Hope you enjoy it. ooooh you've have a good buying streak there. Revolutionary Road needs to be sandwiched between two lighter books, maybe read it immediately before Stardust so that the world wont seem such a bad place. 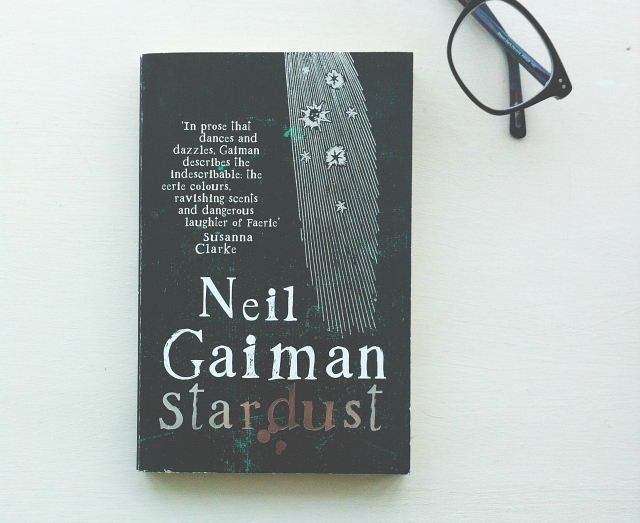 Stardust is probably my second favourite Gaiman book, Neverwhere will always be No1. 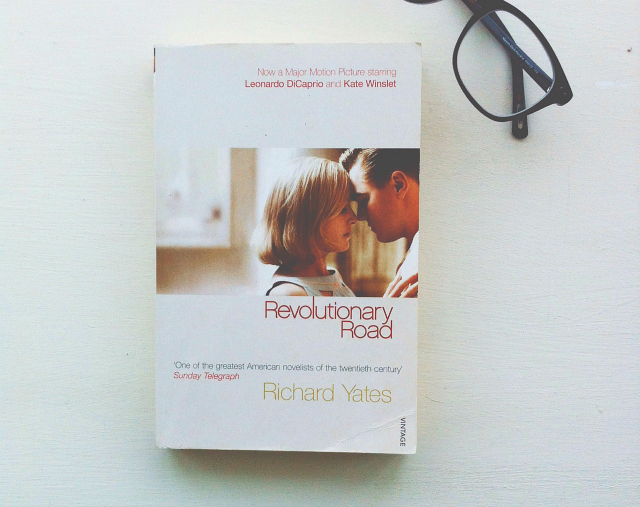 I'm really reluctant to read Revolutionary Road because the movie adaptation is my favourite movie of all time. The bar has been set high. In fact I love the movie so much that I named my blog after the main characters! 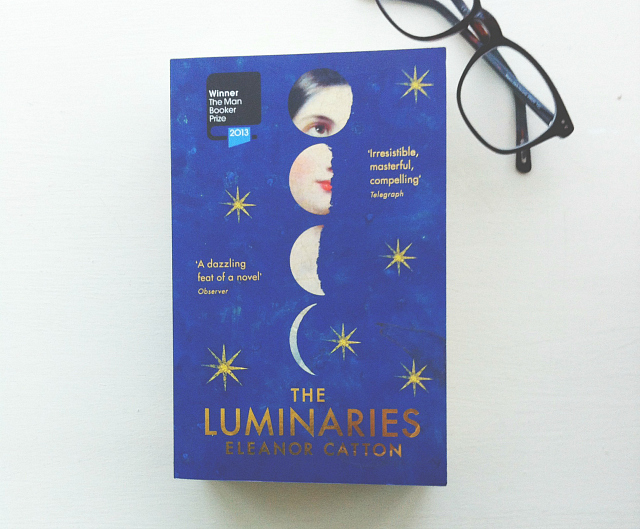 I am currently reading The Luminaries and I am trying really hard to read it as slow as possible so I can savour it. It's an amazing book.